Although Germany reported the new H5N6 virus for the first time in a wild duck during the first week of January (see OIE Report), it hadn't - until today - reported this recent reassortment in poultry. The following announcement from the Schleswig-Holstein Government website, and describes an outbreak on the small island of Hallig Suederoog (pop. 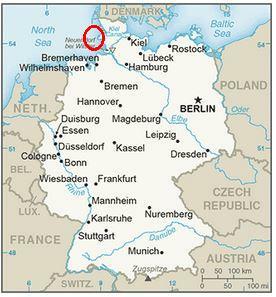 2) off the northwest coast of Germany. In a poultry farm with 57 chickens, turkeys, ducks and geese the avian influenza virus of subtype H5N6 has been detected. Approximately one year after the last detection of avian influenza in Schleswig-Holstein has come again to an outbreak of notifiable animal disease. In a small animal husbandry on the holm Süderoog in the district of North Friesland experts from the Friedrich Loeffler Institute had detected the pathogen subtype H5N6. The 57 chickens, turkeys, ducks and geese must now be killed. On the holm a restricted area was established after the outbreak. A complementary observation area includes the island of Pellworm. In these zones, strict security measures such as an obligation to keep poultry apply. In addition, the transport of live birds in the area is prohibited. The Environment Ministry urged all poultry farmers to comply with the prescribed safety regulations and for example, to feed their animals where wild birds do not have access. Feed, bedding and other items with which the poultry can come into contact should be kept away from wild birds. If it comes in a stable to increased animal deaths must be called a veterinarian to determine the cause. Dead wild birds such as ducks, geese, gulls and raptors should be reported to the veterinary or town clerk's office. 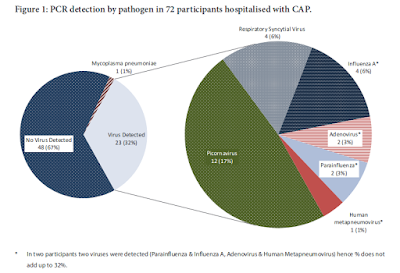 The now proven pathogen subtype H5N6 is very similar to the subtype H5N8, which infected many animals in Europe in winter 2016/2017. H5N6 has so far been detected in Switzerland, the United Kingdom, Ireland, Sweden and Denmark. In January, the pathogen first appeared in a wild duck in Bavaria. It is not known that the virus can be transmitted to humans. With migratory birds now headed north for the spring, countries along the flyways will need to stay alert for additional outbreaks.